Q-Connect HB Rubber Tipped Office Pencil (Pack of 12) KF25011 Pack of 12 Q-Connect Office Pencils. 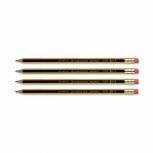 Excellent value pencils with rubber tip, ideal for everyday office use. Hexagonal burnished barrel for comfortable writing and HB lead gives smudge free lines. 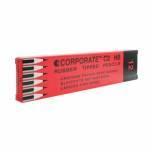 Contract HB Pencil (Pack of 12) WX01117 Pack of 12 Economical pencils for office use. Wood case with strong black lead. Hexagonal shape. Grade - HB. Pack of 12..
Staedtler Noris 122 Rubber Tipped HB Pencil (Pack of 12) 122-HBRT Pack of 12 Premium black lead pencils. Designed for crisp lines and easy sharpening. Super-bonded lead to avoid breakages. Eraser tip for mistakes. Grade - HB. Pack of 12 pencils. 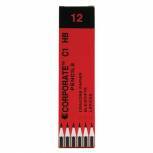 Q-Connect HB Office Pencil (Pack of 12) KF26072 Pack of 12 Q-Connect Office Pencils. Excellent value pencils, ideal for everyday office use. Hexagonal burnished barrel for comfortable writing and HB lead gives smudge free lines. 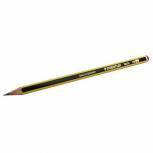 Staedtler Tradition 110 2H Pencil (Pack of 12) 110-2H Pack of 12 Staedtler Traditional 110 Pencil. The popular general office pencil, manufactured from sustainable cedar wood, with a quality lead ensuring maximum point strength and slow wear. Grade - 2H. Pack of 12. Staedtler Tradition 110 HB Pencil (Pack of 12) 110-HB Pack of 12 Staedtler Traditional 110 Pencil. The popular general office pencil, manufactured from sustainable cedar wood, with a quality lead ensuring maximum point strength and slow wear. Grade - HB. Pack of 12. Staedtler Noris 120 HB Pencil (Pack of 12) 120-HB Pack of 12 Premium black lead pencils. Designed for crisp lines and easy sharpening. Super-bonded lead to avoid breakages. Easy-to-erase. Grade - HB. Pack of 12 pencils. 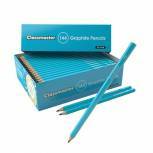 Classmaster HB Pencil (Pack of 144) GP144HB Pack of 1 Classroom HB Pencils. Quality HB graphite lead. Standard size hexagonal barrel. Dispenser pack of 144. 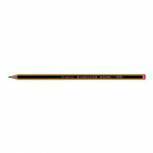 Q-Connect Half Pencil (Pack of 144) KF27026 Pack of 1 Q-Connect Half Size Pencils. Pocket length hexagonal pencils. Lead - HB. 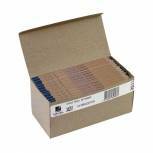 Rexel Office HB Pencil Natural Wood (Pack of 144) 34251 Pack of 144 Rexel Office Pencils. General purpose HB graphite pencils with hexagonal natural wood barrels. Box 144. Contract Pencil Eraser Tipped (Pack of 12) WX25011 Pack of 12 Economical pencils with eraser tip. Wood case with strong black lead. Hexagonal shape. Grade - HB. 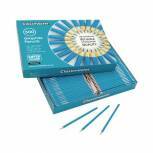 Pack of 12..
Staedtler Tradition 110 2B Pencil (Pack of 12) 110-2B Pack of 12 Staedtler Tradition 110 Pencil. 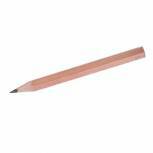 The popular general office pencil. Manufactured from sustainable cedar wood with a quality lead for maximum point strength and slow wear. Grade - 2B. Pack of 12. 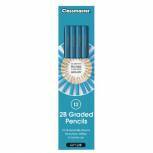 Classmaster 2B Pencil (Pack of 12) GP122B Pack of 12 2B Pencils. Ideal for general use, drawing and writing. 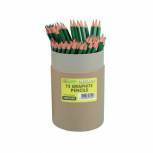 Re:create Treesaver Recycled HB Pencil (Pack of 72) TREE72HBT Pack of 72 Re:Create Treesaver Recycled HB Pencils Pk 72 TREE72HBT Made from 90 % recycled plastic cups. Splinter proof and chew-resistant for safer use. Standard hexagonal barrel. Ideal for student use. Packed in a recycled cardboard tub of 72. 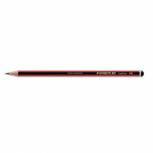 Staedtler Noris 120 2B Pencil (Pack of 12) 120-2B Pack of 12 Premium black lead pencils. Designed for crisp lines and easy sharpening. Super-bonded lead to avoid breakages. Easy-to-erase. Grade 2B. Pack of 12 pencils. 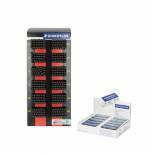 Staedtler Tradition 110 HB Pencil Counter Display of 288 / 50 Free Mars Plastic Erasers 110CA288P Pack of 5 This counter display contains 288 Staedtler Traditional 110 Pencils, plus 50 Mars plastic erasers free of charge. These pencils are made with wood from a sustainable source and feature an extra strong, super-bonded HB lead that resists breakage. 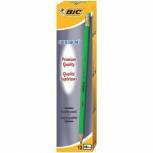 Bic Criterium HB Pencil (Pack of 12) 857595 Pack of 24 Bic Criterium Graphite Pencil HB 857595. Buy 1 pack get another pack FREE. 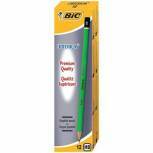 Bic Criterium HB Pencil Eraser Tip (Pack of 12) 857603 Pack of 24 Bic Criterium Graphite Pencil HB Eraser Tip 857603. Buy 1 pack get another pack FREE. 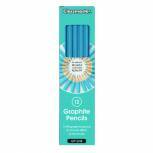 Classmaster HB Pencil (Pack of 500) GP500HBG Pack of 1 Classroom pencils for writing and drawing. HB for a mix of hardness and blackness. Great for shading and precision drawing. Standard hexagonal barrel. Supplied in a pack of 500. Includes an extra value bulk box.